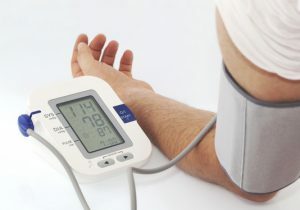 Surlang Pharmacy offers a wide range of trusted Blood Pressure Monitors from leading manufacturers. We provide a selection of excellent Blood Pressure Monitors from leading manufacturers, including Lifesource. Regular monitoring of blood pressure is critical and many people prefer to take their own blood pressure in their own home, where they are free of distractions and anything else that might negatively influence an accurate reading. You can also take your blood pressure in our pharmacy using our professional blood pressure meter which takes six readings over the span of six minutes. Blood pressure is a measure of the pressure on the inside of our blood vessels as the blood circulates. High blood pressure (hypertension) is easily diagnosed with a blood pressure test. High blood pressure (HBP) affects many people. It is estimated that one in four Canadians suffers from it but the tragedy is that many of them don’t know they have it. For this reason it is called “the silent killer”. It is important to have your blood pressure checked regularly. This is especially true as we grow older. Once diagnosed it is necessary to make some changes in your life because even a small drop in blood pressure (e.g. 10/5) can reduce your risk of heart attack, stroke, and death.